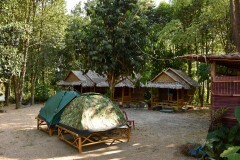 Khlong Sok village is home to dozens of licensed tour companies, some associated with resorts and others standing on their own. A wide selection of day tours means that there is no need to book a package tour before you arrive. Simply show up and shop around. The going rate for a full-day group tour of Chiew Lan is 1,500 baht per person, which does not include the 300-baht ticket to the park. Shoving off around 08:30 and returning to Khlong Sok village by sundown, these typically include a rafthouse stop for lunch, time for swimming and kayaking and a hike to one of the caves or viewpoints scattered around the lake. Up to 10 tourists are squeezed into the narrow longtail boats. Expect to get wet. 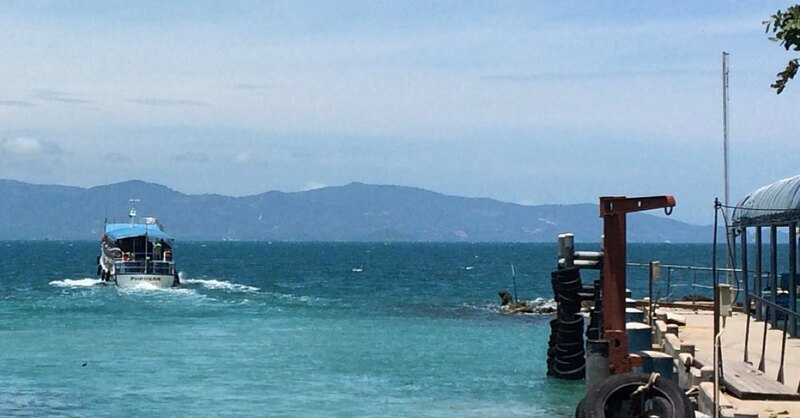 For 2,500 baht you get the same sort of experience except that you’ll spend a night in a bare-bones floating bungalow. Some companies use park-run bungalows while others have their own budget rafthouses. 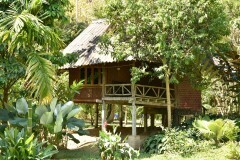 One of the most popular of the privately run bunch is Smiley, which also has bungalows and a side base in Khlong Sok village. We talked to several young backpackers going the Smiley route from start to finish. Private lake tours are also available and some of the two-day boat trips up into Khlong Saeng Wildlife Sanctuary are well worth considering in the 3,000 to 6,000 baht range per person, depending on how many heads are in your group. Khlong Saeng can be reached with only the help of a boat driver, but we’d want a guide to help us spot the rich array of wildlife. Tour outfits will also design custom lake tours for travellers with special interests, such as caves and birdlife. A good trail guide can really make the jungle come alive, and Khao Sok has no shortage of them. 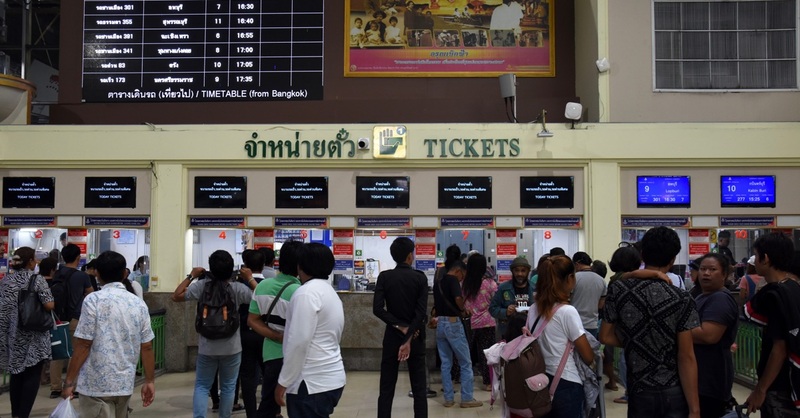 The cheapest option is to hire a park ranger, but we’d part with 600 to 1,200 baht per person to go with a tour company that specialises in trekking led by experienced, ... please log in to read the rest of this story. Last updated on 3rd March, 2019. A selection of some of our favourite sights and activities around Khao Sok National Park. 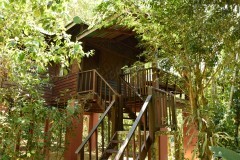 A selection of some of our favourite places to stay in Khao Sok National Park. 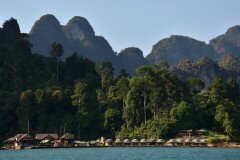 Browse our independent reviews of places to stay in and around Khao Sok National Park. 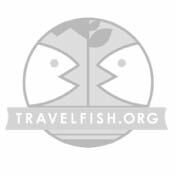 Read up on where to eat on Khao Sok National Park. 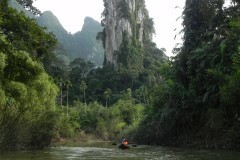 Check out our listings of things to do in and around Khao Sok National Park. 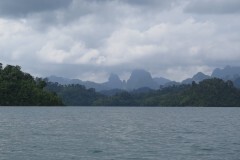 Read up on how to get to Khao Sok National Park, or book your transport online with 12Go Asia. Planning on riding a scooter in Khao Sok National Park? Please read this. 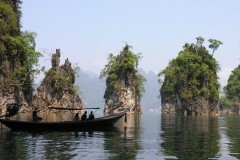 See below for more sights and activities in Khao Sok National Park that are listed on Travelfish.org. Where are you planning on heading to after Khao Sok National Park? Here are some spots commonly visited from here, or click here to see a full destination list for Thailand.